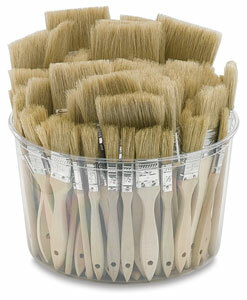 This is an excellent assortment of white bristle gesso brushes in a convenient plastic canister. It includes 114 brushes total. 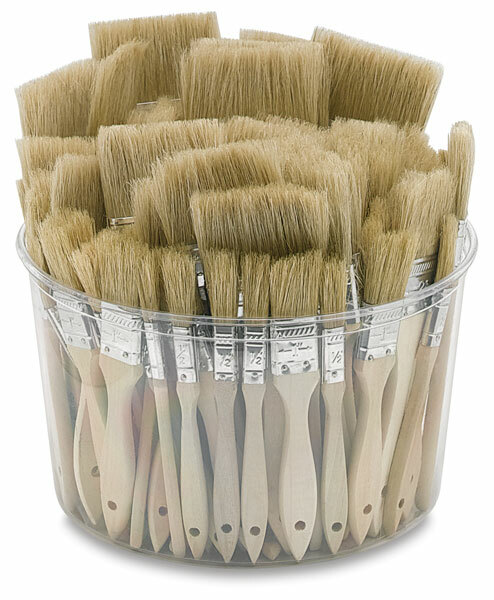 All brushes have flat, wooden handles.